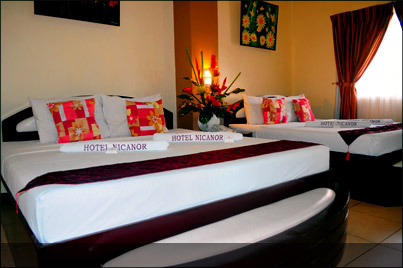 Hotel Nicanor is located in San Jose Street, the heart of Dumaguete city. 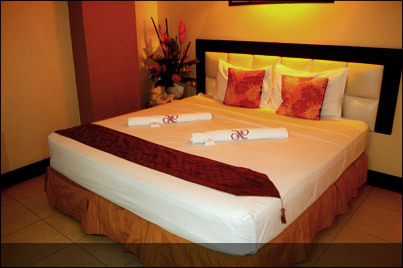 The hotel is just a stone-throw away from restaurants, shopping centers, Silliman University or Banks. The famous Rizal Boulevard is about 2 minutes by foot (if you are slow). The ample parking space for guests is a rarity in the middle of buzzing downtown. While Hotel Nicanor has no own restaurant, one can find an abundance of places in the direct neighborhood, to fight hunger at any time of the day and night. A small snack-bar at the front-desk comes very handy, especially when returning to hotel Nicanor in the early morning hours after a party night out. 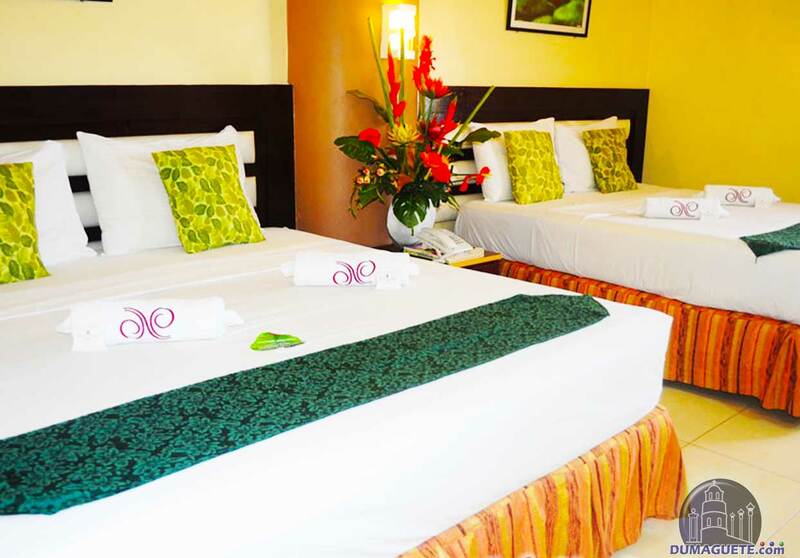 In five minutes you can be at several Restaurants in Dumaguete. 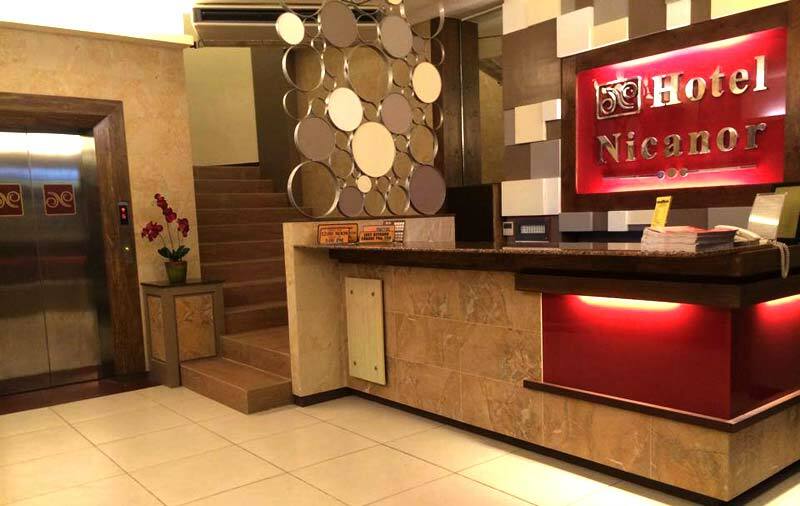 Each room of Hotel Nicanor has its individual air-con unit, cable TV, and an internet connection (cable). 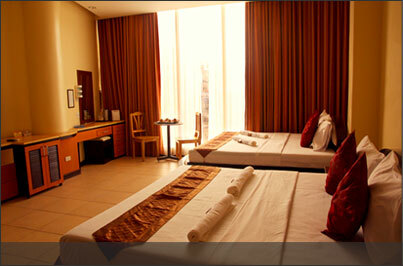 Each floor has a water-station where guests can get complimentary purified water. With ramps at the entry and a modern good sized elevator the hotel also suits disabled persons. 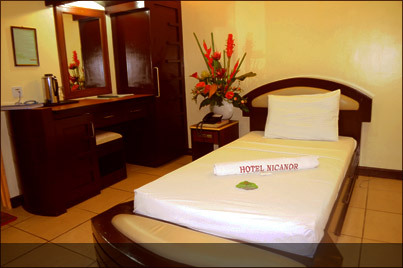 Hotel Nicanor also offers laundry service for an affordable fee. 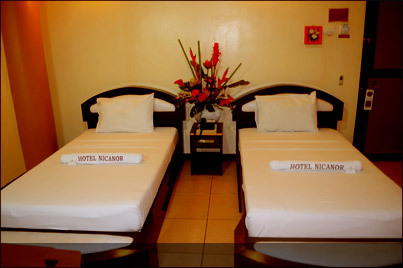 The pick-up for Nicanor guests is from the airport in Sibulan or the seaport in Dumaguete is from 6:00am to 5:00pm free. Guests are required to book the pick-up a few days prior arrival. If you need a pick-up from another location you better ask ahead of time for the options. There are no problems with the occasional brownouts in Dumaguete. Hotel Nicanor has a 24 hours standby generator. Guests can pay with all major credit cards. Next to the 24 hour guard, each floor is equipped with CCTV cameras.